Shareholder activists targeted sellers of everything from breadsticks to Botox in 2014. The investors, who buy stakes in companies and push them to make financial or strategic changes, cemented their position as a force in U.S. markets and boardrooms. While their prominence has been steadily increasing in recent years, in 2014 they reached new heights, sweeping out all the directors of one company, getting a seat on the board of the nation’s oldest bank and helping set the stage for the biggest takeover of the year. Activists also raised billions of dollars in a sign they are likely to be as busy, or busier, in 2015. Through November, activists held $115.5 billion in assets, up from $93 billion to start the year, according to hedge-fund tracker HFR. 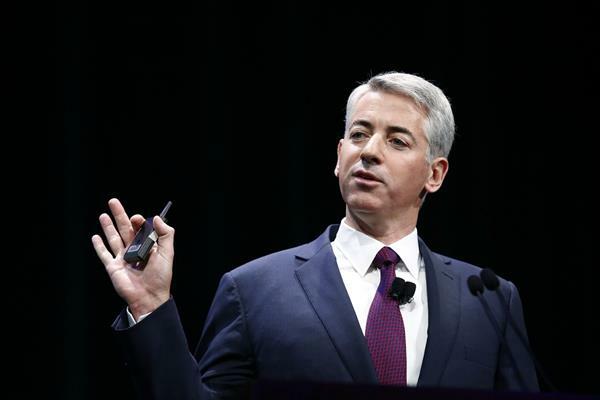 William Ackman ’s Pershing Square Capital Management LP has more than $19 billion under management, and in an effort to create a more permanent capital base, took a portion of its funds public in 2014. Daniel Loeb ’s Third Point LLC raised $2.5 billion in just a few weeks this past summer, bringing its total to about $17.5 billion. “Companies that are being well advised are assuming there is already a corporate activist in their stock,” said Andrew Freedman of Olshan Frome Wolosky LLP, a law firm that advises the investors. The success the investors enjoyed in getting their way in 2014 will test them in the coming years as companies they now control are scrutinized for signs that promised changes are paying off. If not, activists risk losing the support of other investors they rely on. The victory that perhaps best captured their newfound power was Starboard Value LP’s win against Darden Restaurants Inc., the owner of Olive Garden and other restaurant chains. After Darden sold its Red Lobster chain without giving investors a vote, as a majority of them had requested, Starboard led a takeover of the entire 12-person board. While activists had ousted a complete board before, none had been the size of Darden, which now has a market value of $7.8 billion. The victory echoed in board rooms across the country, advisers say. Seeing others lose their fights at such high rates, some blue-chip companies decided not to take the risk. Walgreen Co., Dow Chemical Co. and Bank of New York Mellon Corp. , the oldest bank in the country, all added activist representatives to their boards in agreements with the investors that avoided potential fights. Even when they technically lost, activists seemed to walk away victorious. A heated fight over the maker of Botox, Allergan Inc., captivated the health-care and deal-making industries for months. Pershing Square teamed with Valeant Pharmaceuticals International Inc. in a $53 billion hostile bid for Allergan. In an unusual agreement, Pershing Square bought a 9.7% stake in Allergan ahead of the takeover offer. Things didn’t work out as Pershing Square and Valeant had planned. Allergan refused to negotiate and lawsuits flew in all directions. Ultimately, Allergan agreed to sell itself to Actavis PLC for $66 billion, in the year’s biggest deal. Still, Pershing Square stood to make about $2.2 billion from gains on its Allergan stake. A lawsuit that could endanger the profit remains unsettled. A big theme for activists in the year was breakups. Carl Icahn pushed eBay Inc. to separate electronic-payments unit PayPal, which the online-auction company announced it would do months after rejecting the activist’s campaign. Elliott Management Corp. is urging a split-up of data-storage giant EMC Corp. , a push the company has so far rejected publicly. And Trian Fund Management LP, which has made a career of pushing corporate revamps, targeted DuPont & Co. and PepsiCo Inc. with breakup campaigns. Each company argued it is stronger united. For all the headlines they drew and all their boardroom successes, the returns activists delivered for their own investors were less than spectacular. The average activist fund rose about 3.5% through November, according to HFR. That is well short of the S&P 500 index’s 12.3% gain over the same time, but equal to the average return of all HFR-tracked hedge funds. And activists remain controversial figures, with some investors and others arguing that they leave companies in more parlous states by encouraging knee-jerk thinking at the expense of long-term investing. Despite continued opposition in some quarters, activists’ recent success has come in many cases as a result of support they have garnered from other institutional investors. In 2015, that support will be tested. Darden will be exhibit one, followed perhaps most closely by Cliffs Natural Resources Inc., the largest iron-ore miner in the U.S.
Cliffs had been the worst performer in the S&P 500 in 2013, and activist Casablanca Capital LP launched a fight to break up the company in January. Casablanca won a majority of the board seats in July and appointed a new chief executive, but the stock still fell more than 70% in 2014 amid turmoil in commodity markets. Regardless of how those and other activist-infused companies perform, the investors have triggered an evolution in companies’ relations with their investors broadly, bankers say.